A Syrian human rights activist who has risked her life to report on atrocities committed under the government’s continuing crackdown on protesters, has been honoured in the name of the murdered Russian journalist Anna Politkovskaya. London-based rights organisation, Reach All Women in War (RAW in War) bestowed its annual Anna Politikovskaya award on Razan Zeitouneh on the eve of the fifth anniversary of the reporter’s murder – October 6. No award ceremony was held as Zeitouneh is currently in hiding. 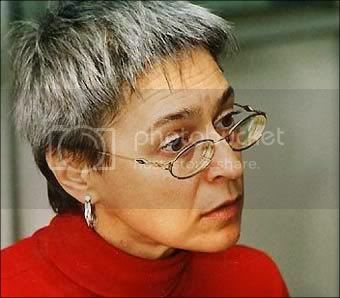 Mariana Katzarova founder of RAW said that Zeitouneh, who has risked her life in breaking through the government’s media blackout to report on the brutal crackdown in Syria, reminded her strongly of Politkovskaya. “When the violence against civilians by the army and security forces in Syria began [in March], [Zeitouneh] turned into a journalist. She became one of the essential voices coming out of Syria about the daily torture and killing of peaceful protesters in the country,” Katzarova said. Trained as a human rights lawyer, Zeitouneh founded the website Syrian Human Rights Information Link in 2005. Written in Arabic and English, it has served as one of the few sources of information on killings, arrests, and human rights violations committed during the continuing, six-month-old assault on anti-government protesters.